My life seemed doomed because of my abusive father, my exposure to sexuality at a young age, my failed marriage to an older woman, and my appetite for a forbidden fruit that contributed to my path of emotional destruction. As a result, I became a loner, I was depressed, and suicidal thoughts stampeded my mind. But through it all, I’ve learned to love and forgive myself—I’m at peace. Tony Richards is a writer, leadership and management consultant, and keynote speaker. He is a motivator that works with individuals and businesses to define and shape their true destiny. Tony is an adjunct instructor in business and leadership, and lives with his wife and two daughters in Bismarck, North Dakota. If time and money were no issue, what would you be doing? The dreams that are deep within and have been with you all your life are still there and it is never too late to turn them into reality. 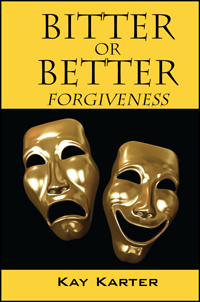 Tony Richards has written a short book packed with power and punch that will inspire you to move through your current situation and into your true destiny. 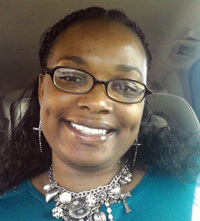 Ms. Jones is a divorced mother of two beautiful adult children, ages 29 and 25. She is a Disabled Iraq Army Veteran; served in the Army National Guards, Army Reserves and Active Army; of which, she was deployed to Iraq in Support of Operation Iraq Freedom (OIF)/Operation Enduring Freedom (OEF) 2003-2005. 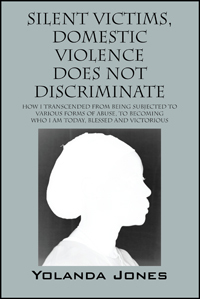 She is an inspiring Author of “Scarred, but Not Broken”, “Life Goes on After the War – From Uniform to Classroom and Living with PTSD and Other Service Connected Injuries; Whether Major or Minor.” Ms. Jones is a High-Red belt in Tae Kwon Do; has an Associate and Bachelor Degrees in Criminal Justice; graduated with honors. 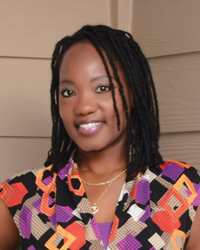 Ms. Jones’ thirst for knowledge led her to obtain her Masters of Science Degree in Counseling and Development, from Texas Woman University, Denton Texas. She believes that material possession can be taken; however, “knowledge is power.” Knowledge is something that cannot be taken from her, by anyone. Some of Ms. Jones other hobbies are, reading and listening to motivational and inspirational materials. I was young and giddy, so I blushed hearing his comment. Huh, back then, I wore a beginning stage of Jheri curls [laughing]. Yes, back in the 80’s jheri curls was the shiznick [laughing]. A year has passed and we were six months into our marriage with our son. He had become very confrontational at home and at work. It was as though I was now married to night and day. Some days he was thoughtful, respectful, a gentlemen, and lovable. Other times, I hated him and despised him. Many days I regret being married, yet I wanted my marriage to work. The majority of our arguing revolved around finances, never having enough, and never knowing where the money was going. Other times our arguing was because of his over drinking or his family interference and negative influences in our marriage. Yes, his drinking went from drinking a can or two after work to drinking a 40oz along with drinking one to two cans of beer after work; to drinking a can of beer while he, as he use to say, “S-Showered-shaved.” His excessive alcohol intake became so uncontrollable that, he now became the alcohol. He didn’t care what he did, what he said, or who he hurt. He became numb. He no longer was the man I met nine months ago on the college stairwell. He now became a stranger to me. I no longer knew who he was; it felt strange living under the same roof with him. You would have thought I was a burglar who just broke into his home, because he choked me so hard until I began to see silver specs floating in my eyes; not knowing that I was losing oxygen to my brain. Yes, he was slowing killing me, and I was dying. Still fueled from my first book, “A Glow in the Dark”, here is a glimpse of my experiences while I learned through trial and error how to maintain a life with God as He became my Sustainer of peace. This book is filled with life! 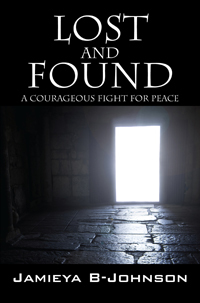 Lost and Found gives each reader a sense of hope as I developed line upon line my daily struggles without God and how He fulfilled His purpose in my life once I came in contact with the Holy Spirit. Take a dive and learn how God can change your life around. When it all seemed to fall apart. A woman broken entering into the fight of her life. Bound by the chains of uncertainty, she suffers through abuse. She gains sight of past afflictions in order to be found by grace which changes her whole identity. 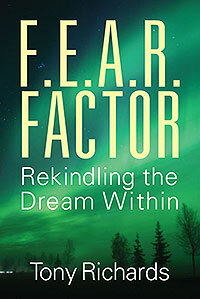 Lost in fear and facing death, the breath of life gives this young woman a second wind. G. Jean Smith grew up in West Texas and is proud to call Morton, Texas home. As a prior Army Spouse, she has led an eclectic life full of constant change and has lived in various parts of the U.S. and Italy. She currently resides in Kansas with her three children. Catherine Cannon has spent her life keeping secrets and trying to outrun her past. Speaking about her past, about her family, is taboo and she has only shared her life with her closest childhood friend. But when Catherine reaches a milestone, she willingly places herself in a situation where she is faced with having to talk in-depth with a psychologist. It’s the only way she can confront her past head on as she seeks the answer she’s not sure she really wants to hear. Iyabo Williams grew up in Lagos, Nigeria. She lives outside San Francisco with her husband, children and grandchildren. At the age of eight, Aisha Praisso, alongside her great grandmother, became a victim and a rescuer of many during the Nigerian civil war of 1967 between the Hausas in the north and the Ibos in the east. The tales from the war are sporadic and many of the stories are still left untold. Aisha, a survivor and self-proclaimed motor-mouth, would not broach the subject unless her life depended on it. But it did, and her whispers became loudly heard. Born in Port Harcourt, Nigeria and raised by her maternal great grandmother, Aisha had a happy life until the Biafran war bulldozed its way into her idyllic home and turned it into a torture chamber. Her innocence was stolen by an Unknown Soldier while her guardian could only stand by and watch. Though Mr. Braithwaite, a family friend and English merchant sea captain, had rescued her and her great-grandmother from the worst by arranging for their escape to Lagos, it was already too late for Aisha; she had been branded for a lifetime of abuse. When things go awry in an abusive relationship, she finds herself in a state of utter hopelessness after being arrested on charges connected to her past boyfriend. It took her fourteen years…to sort through her pain, including the self-inflicted ones and find the courage to tell her story. Fortunately, her luck turns for the better as she begins to let go and start to re-live her life again.